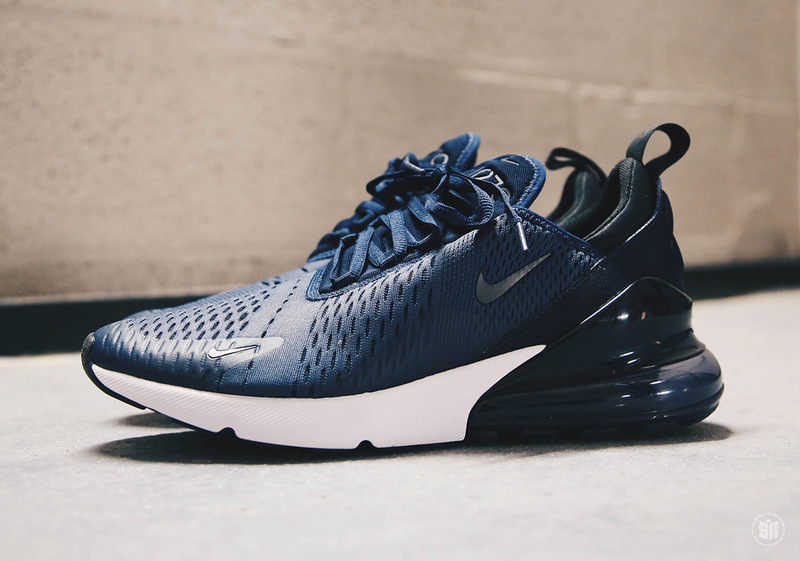 Update: The Nike Air Max 270 in Midnight Navy releases on February 2nd, 2018 for $150. 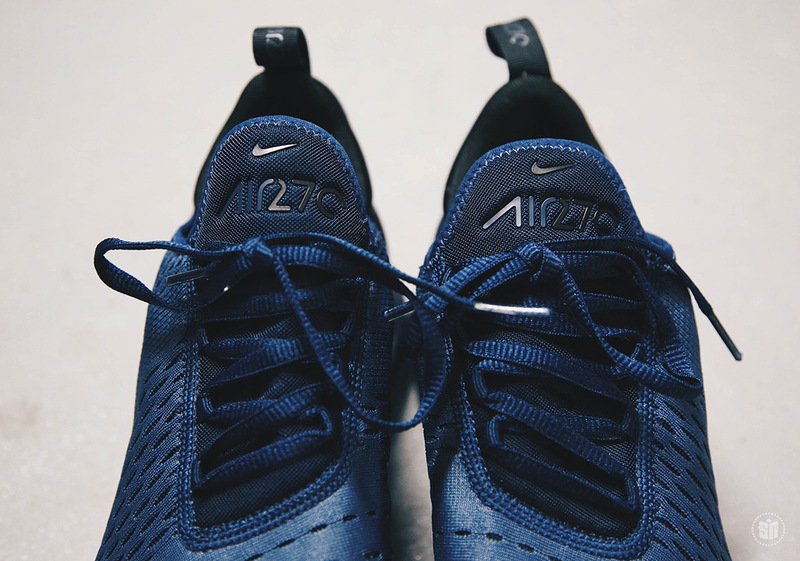 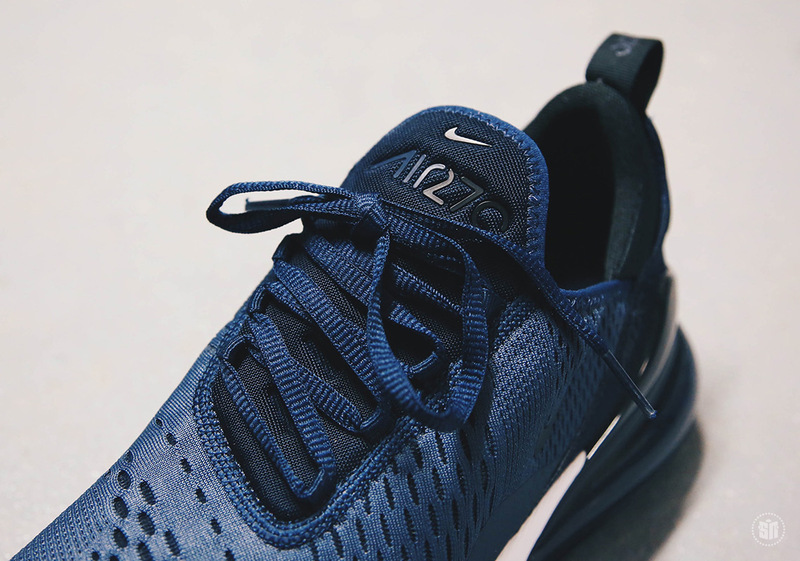 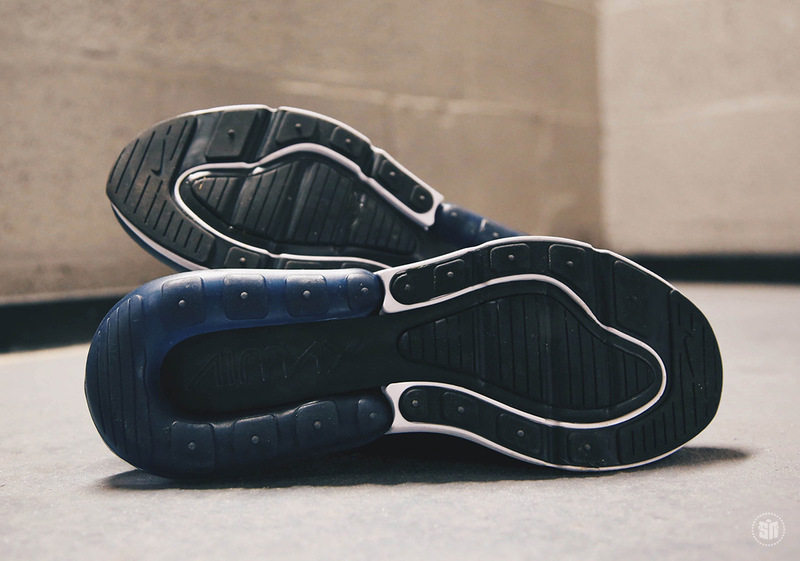 The next of our exclusive Nike Air Max 270 previews continues as we provide a first look at a “Midnight Navy” colorway of the brand’s latest Air Max innovation. 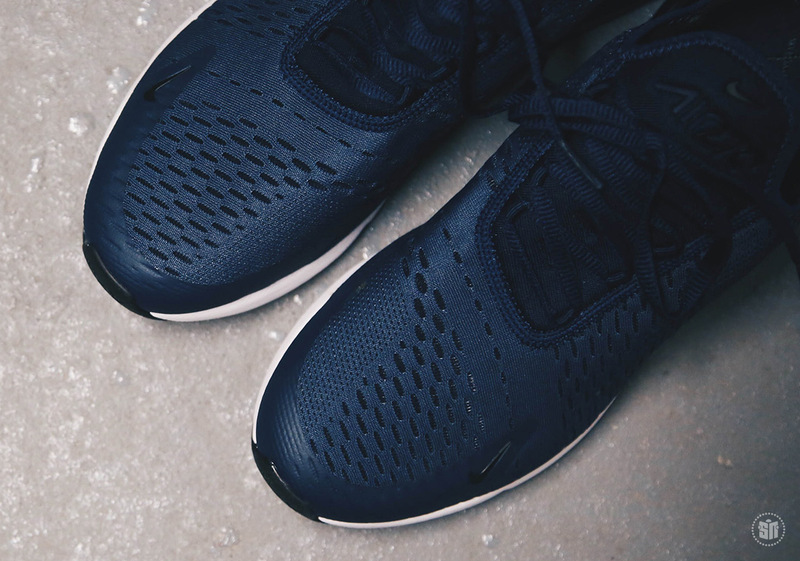 Much like the color-blocking of the previous three colorways we revealed, this upcoming drop features the primary color on the engineered mesh upper whereas the new heel Air Max unit and inner bootie are arranged in a tonal composition. 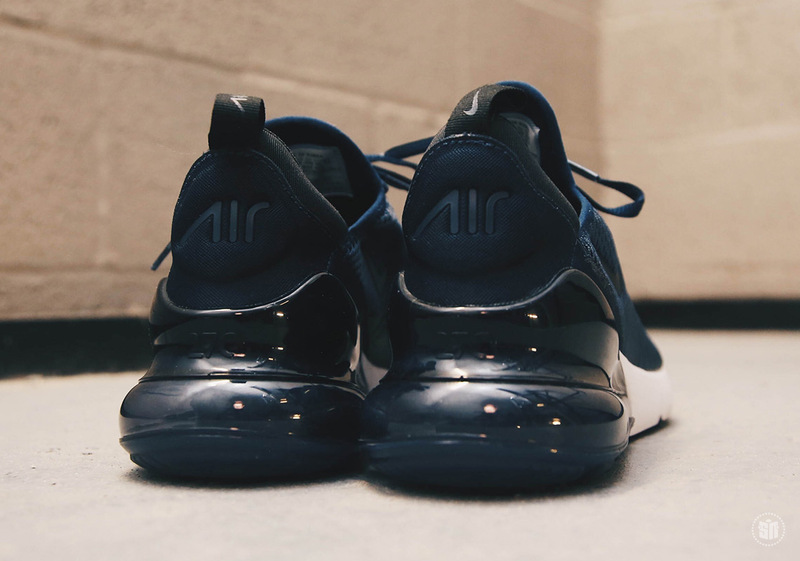 Created by a Nike’s Air Max design team led by Dylan Raasch, this lifestyle-exclusive model features the highest Air Bag ever produced for a sneaker. 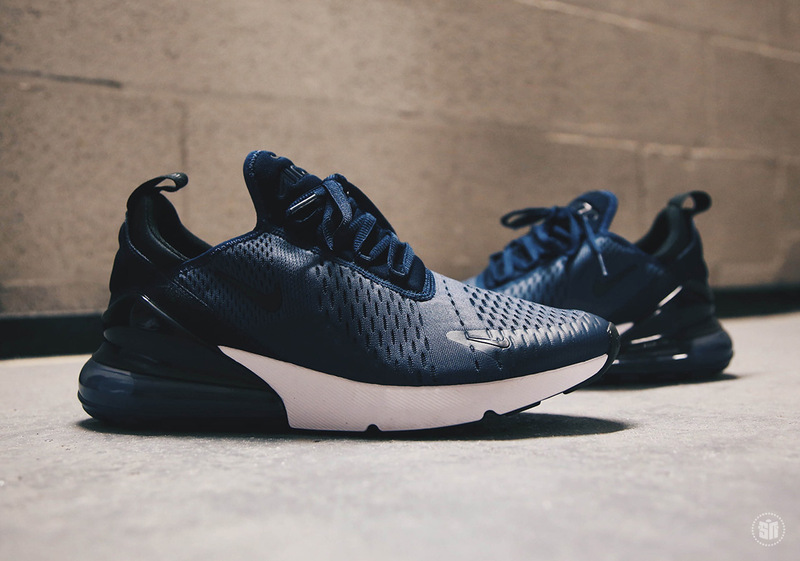 This colorway of the Air Max 270 will release on February 1st for $150 alongside a number of other colorways.